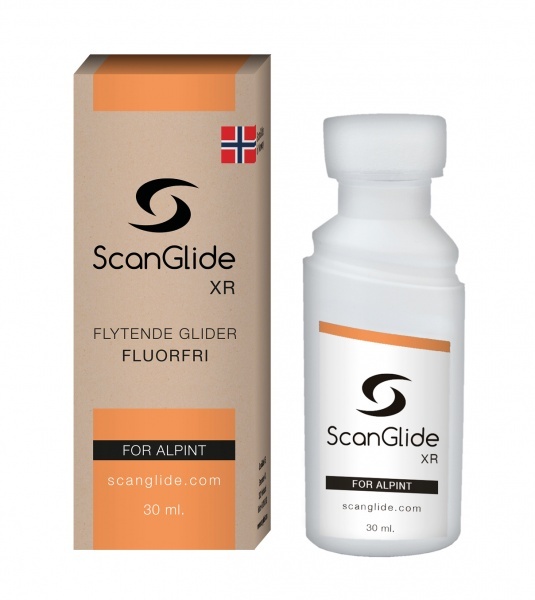 Home » - ALL PRODUCTS - » ScanGlide Nanoglider XR 30ml. ScanGlide NanoGlider XR is a specially designed glider for the alpine environment. NanoGlider XR works on most types of snow but especially suitable for artificial snow. Highly water and dirt repellent! Works very well at temperatures from +10 degrees to -10 degrees C. Very easy to use. Ski / snowboard must be cleaned with ScanGlide Wax Remover before use of NanoGlider XR. Then apply the sole with NanoGlider XR in a thin layer. Use the sponge which is on the bottle. After 5 minutes, polish it with a soft cloth. NanoGlider XR provides a smooth, hard sole and its long lasting.